Please Note: Before initiating any Transfer, kindly understand the Fees. 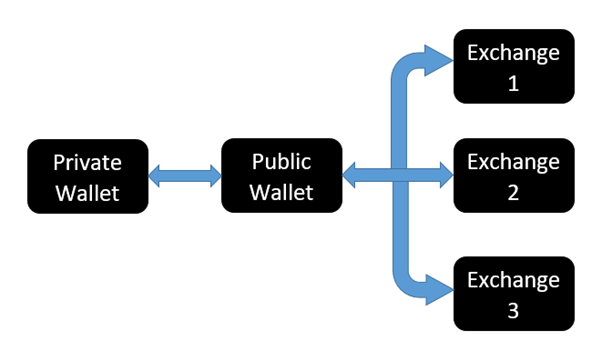 There is Fees for moving your Twinkles from Private wallet to Public Wallet. You pay fees for moving your Twinkles from Public Wallet to Exchange 1. If you want to Transfer your Twinkles from Exchange 1 to Exchange 2, that is not possible. You will have to pay fees for moving your Twinkles from your Public Wallet to Exchange 2. It is quite possible that by the time the Trade price rises to meet your selling price in Exchange 1, we may get Exchange2 to trade. So, take your decisions wisely. Please note: Unlike CCS, if the new Exchange creates separate Wallet for each members, then we will be able to send our Twinkles directly from CCS to the new Exchange. No need to send it via MEW. However, if it is set up like CCS, where we transfer to CCS Account, instead of our own, then we have to Transfer via MEW only. If the new exchange create separate Wallets for each members starting with "0x", then we will be able to Transfer Twinkles directly from CCS to the new exchange. Let us wait for the new Exchange! Thank you. It is my pleasure to share the info regarding Twinkle! New Home of the Twinkle Education with "Place Sell Order at CCS", "Place Buy Order at CCS", etc.